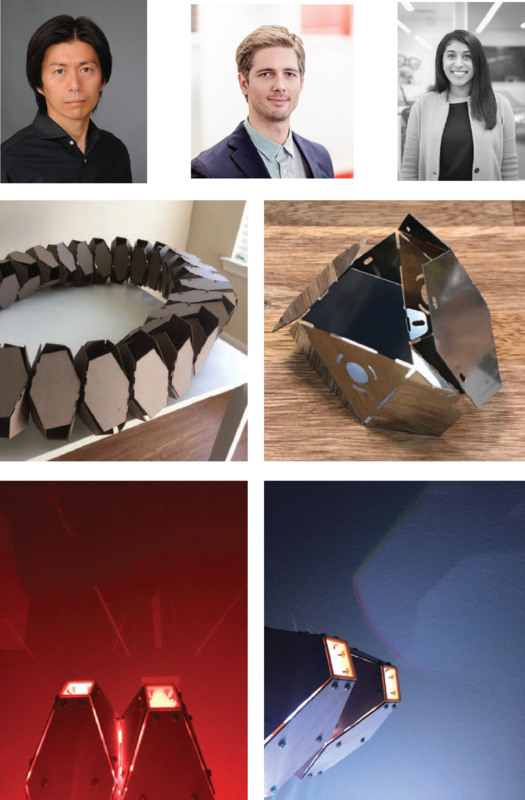 2018 YAF Design Make Residents Ami Patel, Paul Kweton and Hidekazu Takahashi will present their project "The Moebius Strip - The Whole and its Parts: Considering Parametric Modularity as a Design Recipe​" and how their residency at TXRX Labs influences the production process. There will be 2 tours of the TXRX Labs (7PM and 8:15PM) at which presentations will take place. How does form inform functionality / program / (human) behavior? To what extent does ‘pure’ form, parametrically generated based on mathematical algorithms, inform / effect (human) behavior? How does legibility of modularity change with scale and do we need to see / experience / engage with the whole to understand its parts and vice versa? The investigation and delivery of a design (module) comprised of perpetual modularity, material efficiency and certain scale in conjunction with its effect on space and (human) behavior form the core thesis and research topic of this residency. The Moebius strip and parametric modularity define our morphological framework for our physical form exploration.